Paleo cookie recipes are becoming more popular as the number of people who are unable or unwilling to eat overly-processed store bought sweets continues to rise. Even though many people are turning to paleo food as a way to eliminate unhealthy carbohydrates and refined sugars from their diet, it’s difficult to give up junk food entirely when trying to achieve a healthy lifestyle. Additionally, families with small children may find it hard to say no to sweets. But since most cookies are packed with refined sweeteners, grains, and dairy products, they have no place in a paleo kitchen. Thankfully, there are plenty of recipes which replace problematic ingredients with wholesome alternatives in order to produce flavorful treats that don’t just taste good but are healthy, too. 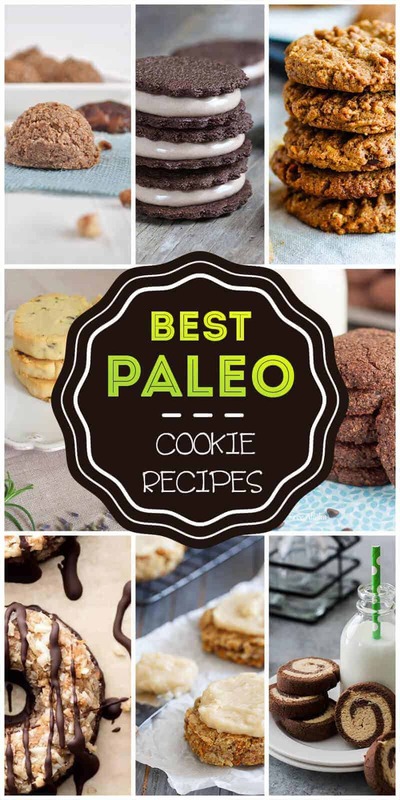 These 50 paleo cookie recipes are sure to be a hit with both kids and adults and are packed with nourishing ingredients, unlike traditional cookie recipes. 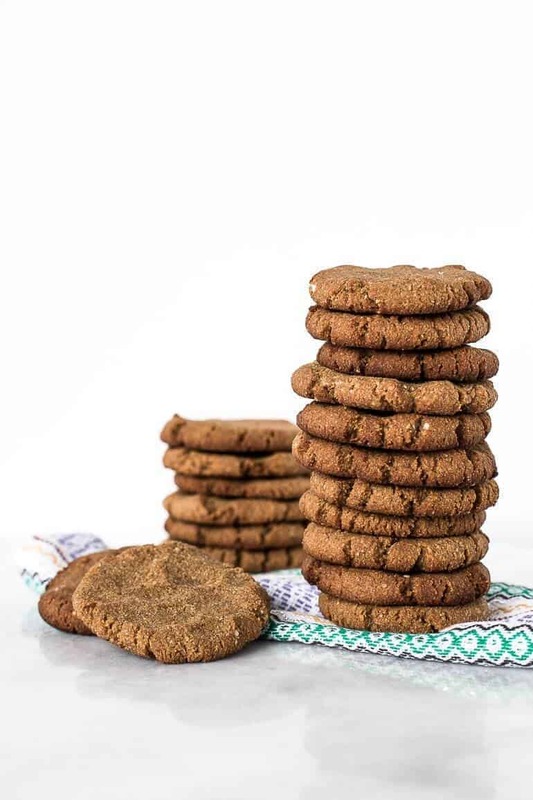 If you’ve ever found yourself at a loss when thinking of the perfect cookies to bring to a holiday party, consider these paleo gingersnaps. Derived from a traditional holiday recipe, these spiced cookies are full of flavor but are made without refined sweeteners, dairy, or gluten. Though the warm taste of ginger is allowed to really shine in this recipe, the molasses adds a deep flavor and chewiness to these cookies. It’s best to keep them on the small side to ensure a perfect texture. Need a chocolate fix? These big, bakery-style cookies have a soft, almost gooey consistency. If you prefer a firmer texture, consider using natural cocoa powder instead of Dutch-process powder to make them more cake-like. What really makes these cookies special is the combination of darkly bitter and semi-sweet chocolate flavors from the cocoa powder and chocolate chips. This recipe also includes directions on how to replace the egg with a chia seed ‘egg’ to make them vegan as well as paleo. There’s nothing quite like the creamy, tangy sweetness of cheesecake, and this recipe delivers on its promise to provide the soft texture and unique flavor of the iconic dessert without using dairy or refined sweeteners. 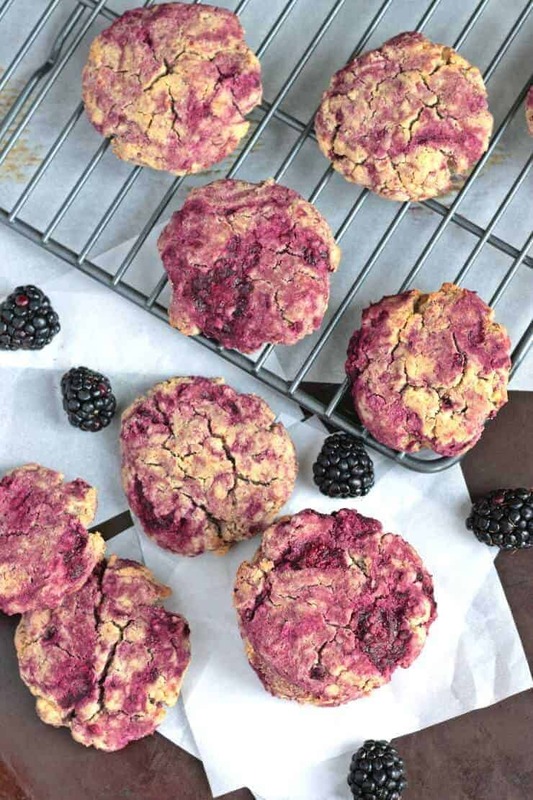 Replacing traditional cream cheese with almond cheese is easier than it sounds, and with just honey and blackberries for sweetness, these pleasing cookies are an ideal alternative to the sugar-laden concoction most of us think of when we hear the word ‘cheesecake’. 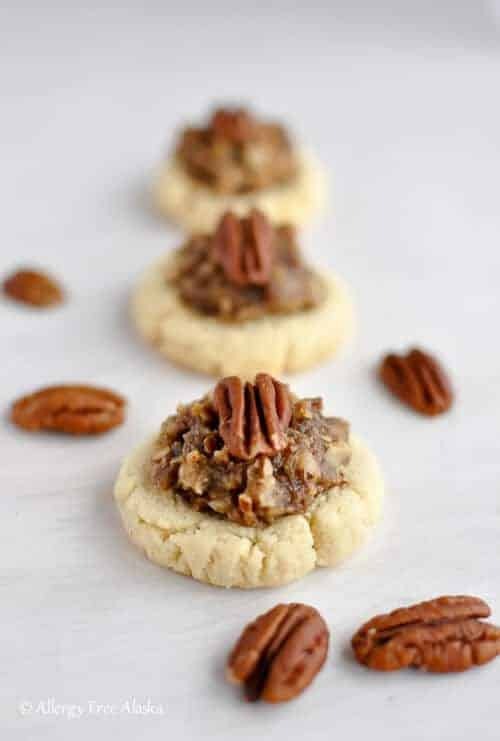 These bite-sized cookies use a grain-free shortbread base and a date-sweetened pecan filling to recreate the taste and texture of pecan pie. Because this recipe contains no egg, it is not only paleo and gluten-free but vegan as well. Although there is a small quantity of maple syrup used in the shortbread base, the natural sweetness of the ingredients lets the flavor of the nuts come through beautifully. 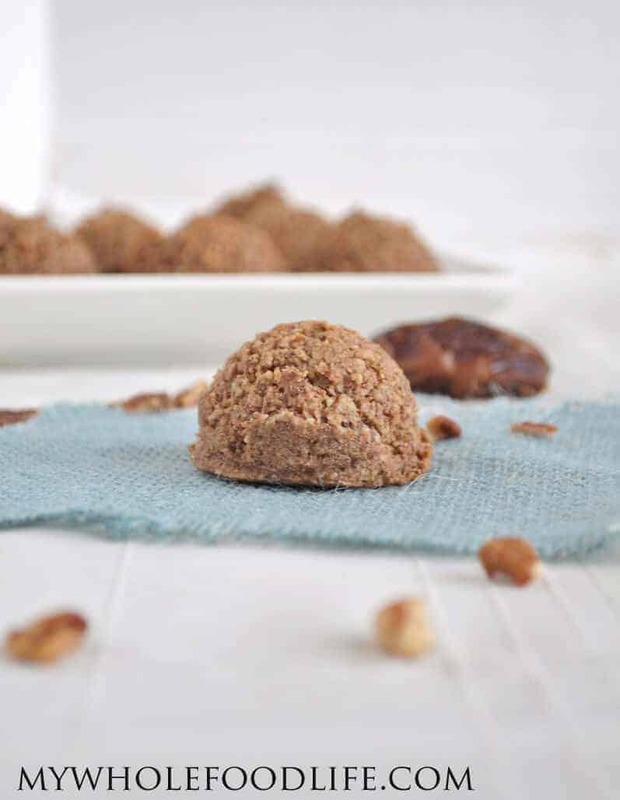 Each one is topped with a pecan half to make these paleo cookies really stand out. If you’re feeling nostalgic for old-school peanut butter sandwich cookies, try this healthy paleo food alternative. It may be a challenge to not eat the creamy, chocolatey filling by itself, but you’ll find it compliments the salty sweetness of the cookies and is worth waiting for. Best of all, the filling only has two ingredients and is super easy to make. Be sure to only use dairy-free brands of chocolate chips to ensure these cookies conform to the paleo diet. Not only are these paleo cookies super easy to make, but they use only four ingredients – two of them optional – and are gluten-free, vegan, and GAPS-friendly as well! If you’re on a highly restricted diet, this cookie should be on your short list of go-to snacks, as it is free of grain, dairy, and eggs. For families with small children that need to whip up a healthy treat in a hurry, this quick and easy recipe is a great choice. Crispy on the outside, warm and cake-like on the inside, these bite-sized chocolate chip cookies are a true delight. This recipe offers alternative options for several of its ingredients to make it easy to use what’s already in your cabinets. You can even choose to use chocolate nibs instead of chocolate chips, and can use honey or maple syrup instead of coconut sugar if you prefer. Like many paleo cookies, these have no grain, sugar, or dairy, but there are a couple of things that make these cookies truly special. The carrots are allowed to be the star of the show thanks to a simple recipe that dispenses with heavy spicing and has very little sweetener other than the natural sweetness of the carrots themselves. In fact, these cookies are so healthy, you don’t have to save them for dessert. But the real joy of these confections is the ‘cream cheese’ frosting made with cashews that is lavishly spread on top. Do you like caramel and brownies? These hedonistic delights are sure to please you with their gooey caramel filling sandwiched between two chocolate chip brownie cookies. The salty sweetness of the filling perfectly complements the slight bitterness of the chocolate in the cookies. With a total prep and cook time of 50 minutes, they take slightly longer to make than other cookies, but the end result is worth the effort. Don’t worry, you’ll have some leftover caramel filling to eat when you’re done! Sometimes an easy recipe is the best recipe. 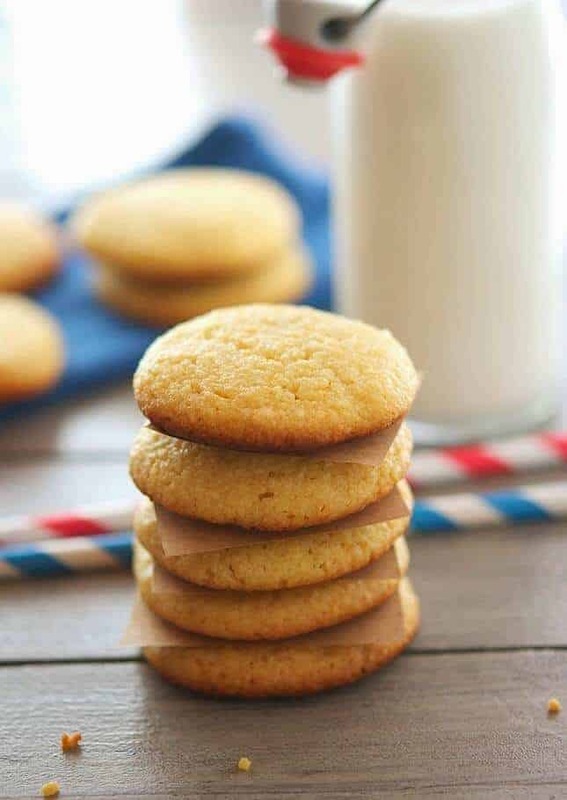 Not only are these snickerdoodles wholesome and easy to make, but they take less than 20 minutes to whip up, making them a great choice for a quick snack. Like a traditional snickerdoodle, they are buttery and finely textured. The subtle pumpkin flavor makes these cookies perfect for fall, but since these treats are vegan, gluten-free, and kid-approved, feel free to enjoy them any time of the year. 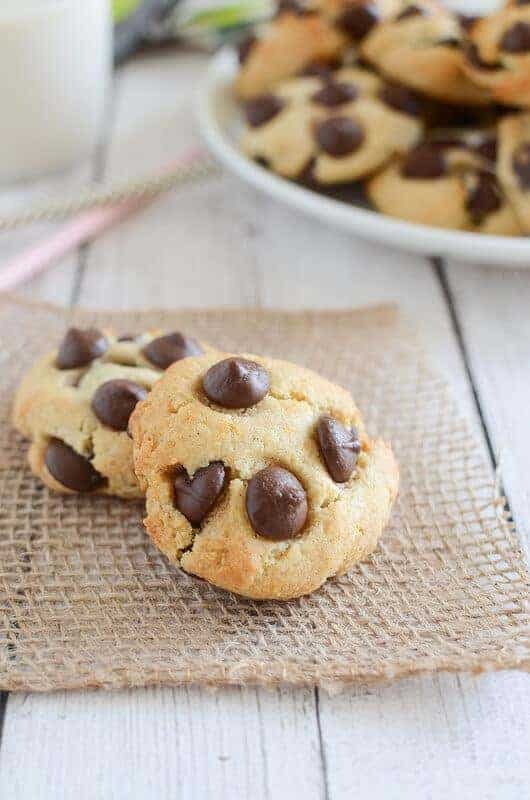 Of the several chocolate chip cookie recipes on this list, these have the simplest ingredients, and there is an option to use bits of Lindt chocolate bar instead of chips if you prefer a chunkier cookie. Because they include almond flour rather than coconut flour, these cookies have a chewy texture, rather than the cake-like consistency created by the coconut flour in other paleo chocolate chip recipes. It also yields 24 large cookies, making this a great choice if you like to share paleo food with friends or family. No grains, no dairy, no nuts, no eggs, no baking! These cookies are incredibly creamy and are sweetened with dates and banana making them healthy as well as delicious. Though it may look like they have icing on top, they are actually drizzled with coconut butter, and if you leave out the optional chocolate chips, they are entirely fruit-sweetened. Best of all, they don’t require baking, which means they are ready to eat in only 10 minutes. This easy recipe produces healthy cookies that not only conform to the paleo diet, but are GAPS-friendly, vegan, and low allergen. If you have a banana, some unsweetened shredded coconut, and an oven you can make delicious cookies in minutes! Since these are made using only two ingredients, you probably already have everything you need to whip up this recipe in your kitchen, and although it only makes 5 cookies, you can easily expand the recipe to meet your needs. If you’re feeling creative you can add any number of nuts, fruits, or other tidbits to these treats. 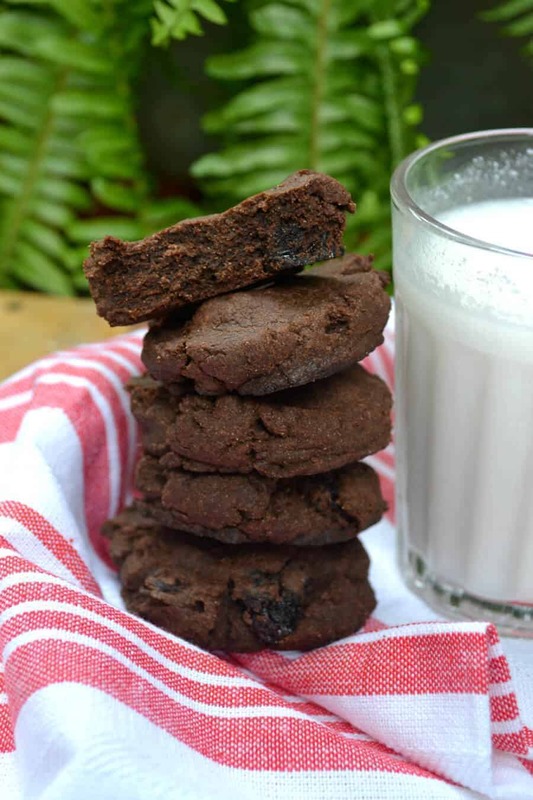 If you’ve missed boxed brownie mix while sticking to a paleo food plan, these ‘brookies’ will satisfy your cravings but are flourless and can be made dairy free. The texture is what really puts these mouth-watering cookies on a pedestal. They are chewy on the bottom, gooey in the middle, and perfectly crinkly on top. Just be sure to follow the directions exactly to avoid runny batter and give them plenty of time to cool so that the texture isn’t too flat. These cookies are light, airy, and creamy and are a great alternative to highly processed oatmeal pie cookies as an afternoon snack. The recipe calls for honey as a sweetener, which perfectly compliments the brightness of the fresh lemon juice used in the filling. However, a lot of the sweetness in these cookies comes from the coconut cream used in the lemony centers and from the cashew butter used in the soft cookie halves. Not only are these holiday cookies flavorful, they’re quite decorative, too! If you’ve been looking for paleo cookie recipes to wow your co-workers at the holiday party or if you have relatives that are uncertain about trying paleo food, these fun chocolate peppermint swirl cookies are sure to win over skeptics. Either way, keep a plate of these treats around, and you’ll be more likely to stick to your paleo diet and ignore holiday temptations! There’s nothing better than the smell of freshly baked gingersnaps. 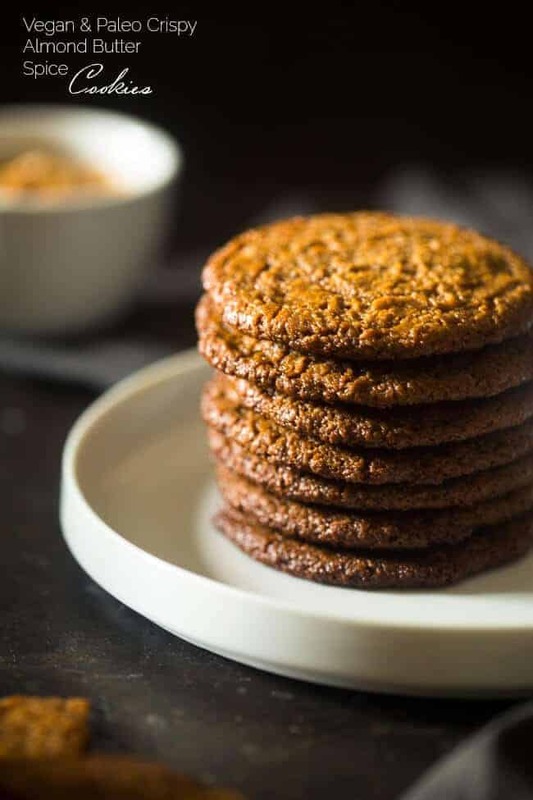 The addition of a little ground black pepper makes these big, soft cookies extra spicy, but the cinnamon, nutmeg, cloves and -of course – ginger will make your kitchen smell wonderful. Like any paleo recipe, these cookies have no refined sweeteners, but you can top them with a sprinkle of coconut sugar or a drizzle of coconut butter if you prefer a more decorative look. This easy recipe produces macaron-flavored cookies that are crisp on the edges and a little chewy in the center. The vanilla extract brings out the buttery flavor in the almond flour perfectly. If you have a sweet tooth but are trying to clean up your diet, it can be hard to find satisfying treats. Thankfully, these four ingredient cookies don’t feel like a compromise. Try to use the finest blanched almond flour you can find and not almond meal, as this creates the best texture. Matcha is a variety of finely ground green tea powder and is a common flavoring for desserts in Japan. The subtle, sweet taste of these green cookies is balanced by the strong, assertive bitterness of the dark chocolate centers. Individuals who are sensitive to caffeine should be careful not to eat too many before bedtime, but if you’ve been looking for a way to include more antioxidants in your diet, this paleo recipe is a fun way to do it. 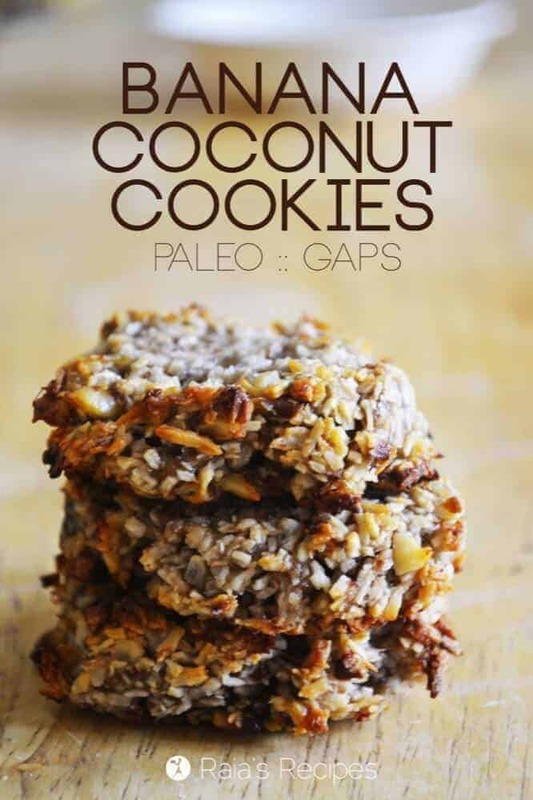 It can be hard to find tasty paleo cookie recipes that also follow the rules of the Autoimmune Protocol (AIP). This healing recipe includes gelatin which is not only important for gut health, but also acts as a replacement for egg and gives this cookie a pleasing texture. The use of lemon zest and blueberries creates a cheerful and bright flavor and adds a natural sweetness, although other AIP safe items like carob chips can be substituted. 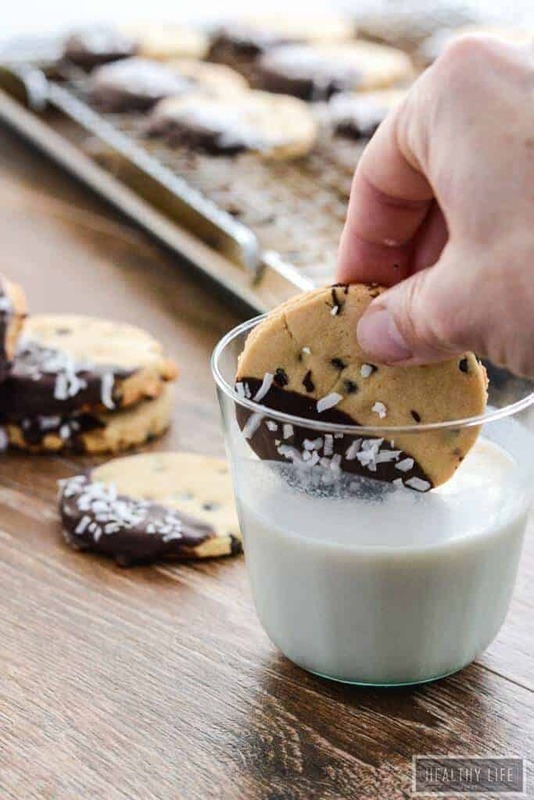 These delicious cookies are perfect for dunking in a refreshing cold glass of coconut milk. 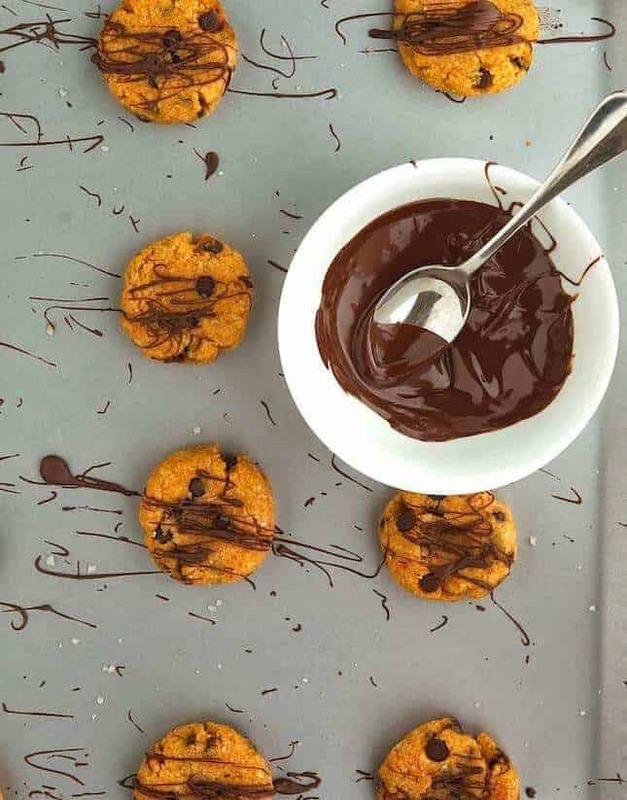 Made with coconut flour, raw honey, and a handful of dark chocolate chips, these cookies are sure to delight the tastebuds. If you prefer your cookies on the crunchy side, a few extra minutes in the oven will leave them with a satisfying crispy texture. If you love old-fashioned banana cream pie, this is one paleo food you can’t miss. The next time you have some ripe bananas that need to be used up, try this super easy recipe instead of making banana bread. Because the ingredients are mixed in a blender, the cookies have a light, smooth texture. As a bonus, the only sweetener is the bananas themselves so these are healthy enough to eat any time of day. Sprinkle some coconut flakes or chopped nuts on top for a bit of fun! If you’ve ever read the ingredients label on a box of store-bought Nilla wafers, you’ll see some shocking ingredients. So what can you do if you’re craving banana pudding, but don’t want to use store-bought Nilla Wafers with their trans fat, sugar, and grains? This paleo recipe replicates the mild taste and shortbread texture of the Nilla wafers you grew up with but are sugar and grain free. Best of all, the recipe is simple enough that you’ll only need a single bowl to whip them together. Since the AIP (Autoimmune Protocol) diet focuses on healing the body, it’s important to note that these paleo cookies do contain two natural sweetening ingredients, and should be enjoyed sparingly if you are sensitive to sugars. 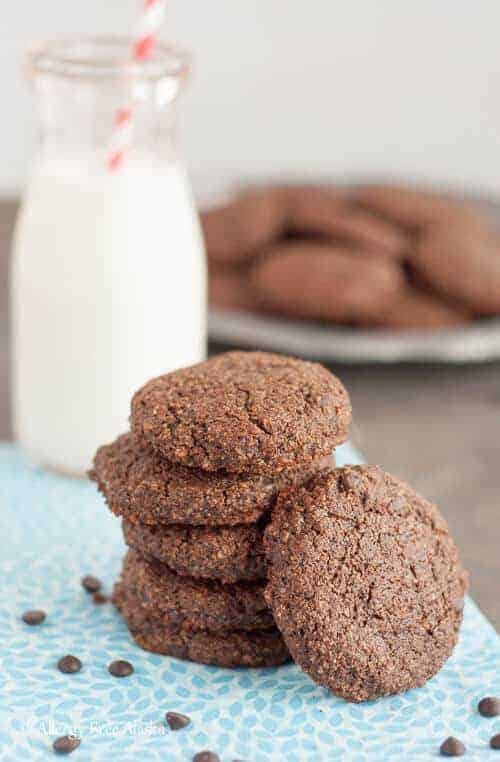 One way to limit the number you eat is to share these treats, and the dark chocolatey flavor of the carob combined with the sweet tanginess of the dried cherries will make these cookies a crowd pleaser. Try dunking them in cold coconut milk for a healthy movie snack. 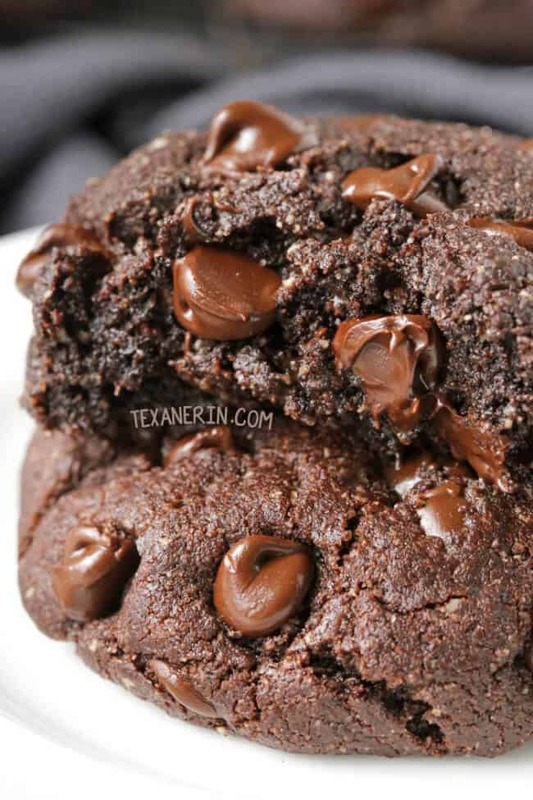 These fudgy double chocolate cookies are delicious straight from the oven and are great for chocolate lovers who are on the paleo diet. The recipe is easy to mix in one bowl and it takes only minutes to get them in the oven. The combination of both almond and coconut flour with a small amount of cacao powder forms a delicious decadent dough that is pleasant to eat even before baking in the oven. 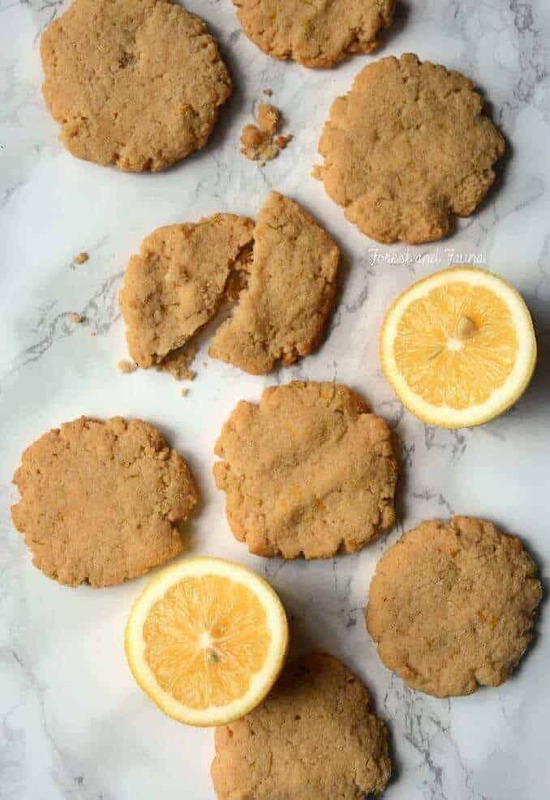 At first taste, you may mistakenly think these cookies are loaded with butter due to their crumbly consistency, but this paleo recipe creates a perfect balance of soft texture and bright citrus flavor without using any dairy or grain. The honey in the recipe can be substituted for an alternative sweetener like agave nectar in order to make them vegan-friendly as well as paleo. 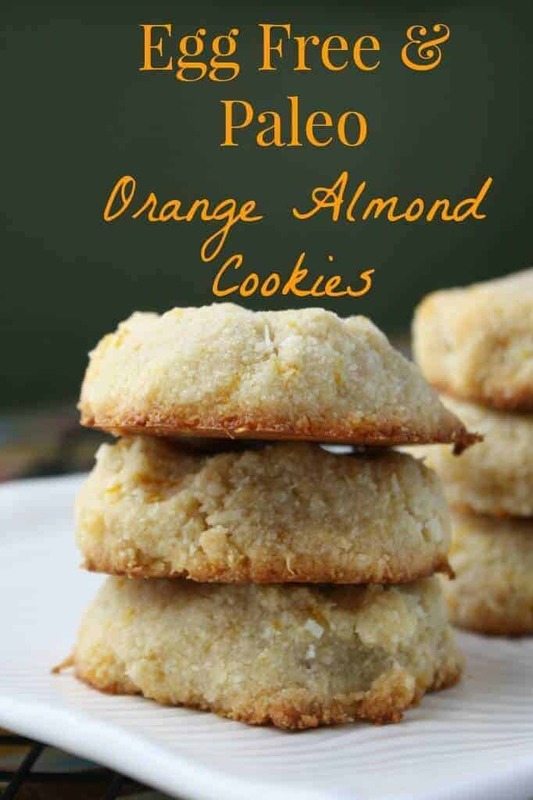 You’ll love the intense orange flavor of these healthy cookies, and how easy they are to make. 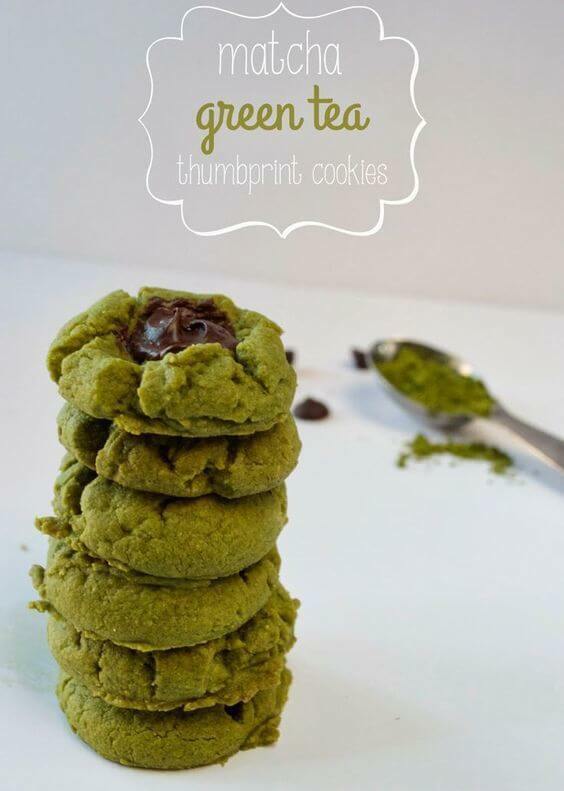 If you’ve been looking for a way to incorporate more clean eating into your daily routine, these cookies will help satisfy your chocolate cravings without compromising your healthy eating habits. With only three ingredients, this simple dessert should be one of your go-to paleo cookie recipes since these cookies are as easy to make as they are to eat! As you might guess from the name, these cookies only have 6 ingredients, and can be put together in about 30 minutes. 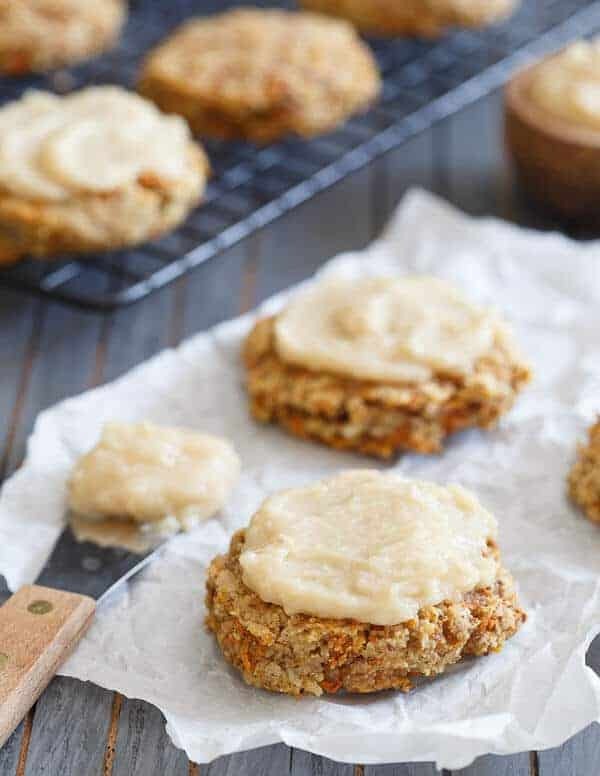 Due to the use of egg whites, this paleo cookie recipe results in pillowy treats that are soft on the inside and just a little bit crackly on the outside. A lot of low sugar cookies rely on strongly flavored ingredients to mask their lack of sweetness, but if you’re looking for a less intense chocolate flavor, these Whole30 approved cookies are sure to please. Some people love food that they can eat with their eyes as well as their mouth, and these double chocolate coconut shortbread cookies are eye-catching and flavorsome, too. The simple, buttery wafers are dipped in a chocolate glaze and then sprinkled with coconut flakes. They’ll pair perfectly with a warm cup of either tea or coffee, making them an excellent snack time treat. They’ll store for up to a week in the kitchen, but with cookies this appealing, they probably won’t survive that long. 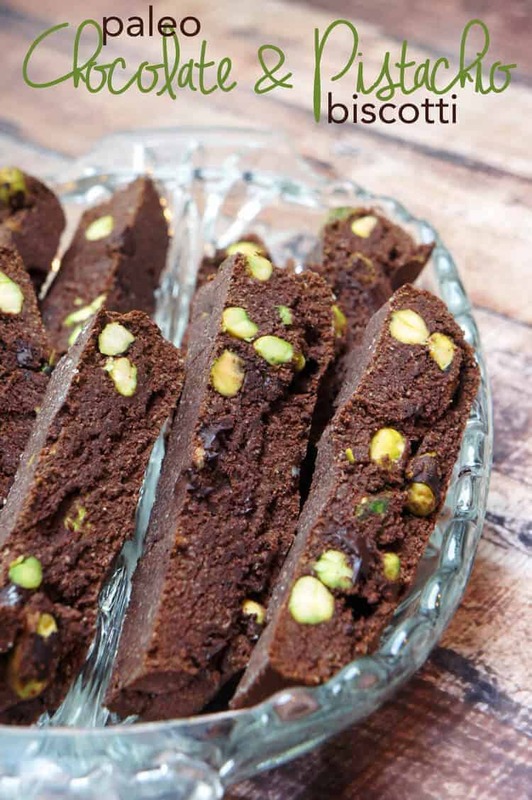 If you’ve never tried to make biscotti in your own kitchen, this paleo recipe will show you that this coffee shop icon is both healthy and easy to make. Like most biscotti, it has just a hint of sweetness and a toothsome crunchiness that makes it ideal for dunking in milk, coffee, or hot chocolate. After a little mixing and about an hour of cooking, cutting, and cooling, you’ll be able to enjoy these elegant cookies with your beverage of choice. Looking for a fall cookie with less fat? These appetizing cookies use no butter, coconut oil, dairy or eggs, and rely instead on the pumpkin puree and the almond flour to act as binders. This paleo recipe includes dark chocolate chips which provide an intense contrast to the delicate sweetness of the cookie dough. Melt some extra dark chocolate chips and drizzle them on top for a decorative and tasty flourish. These cookies are cute, low-carb, and packed with cinnamon flavor! With only 1.9g of net carbs, this paleo recipe is also keto friendly and can help you survive the dangers of holiday eating. Not only is cinnamon naturally sweet, but it is also anti-inflammatory, making these cookies a healthy and satisfying treat. If you are in the process of losing weight but want to add some spice to your meal plan, try pairing them with a warm cup of spiced chai tea for a comforting winter snack. 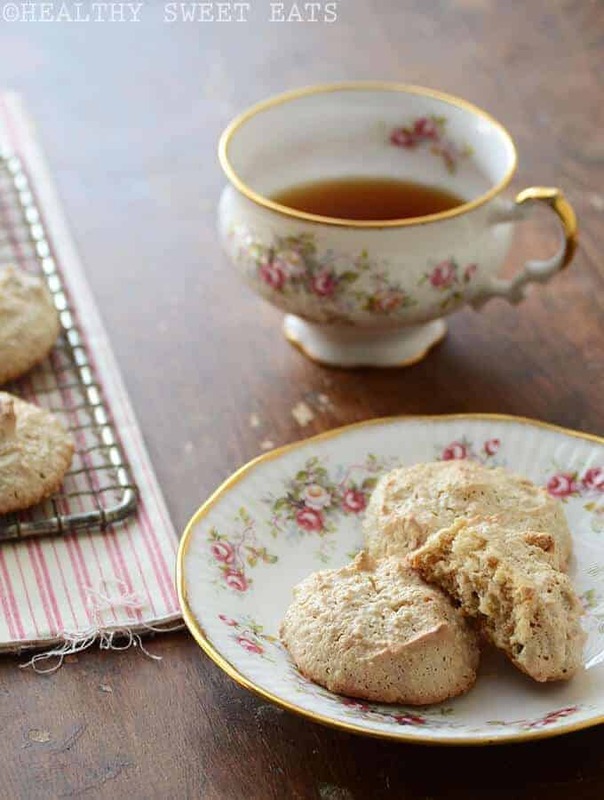 In both their flavor and consistency, these confections are more like a French tea biscuit than a traditional cookie. The soft floral flavors of the dried lavender and fresh rosemary and the buttery texture stand in contrast to many paleo cookie recipes, and you’ll hardly believe they’re grain free. 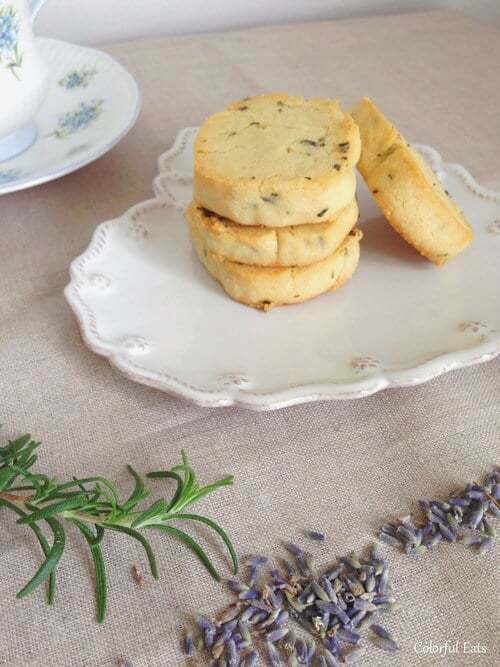 If you’ve never baked foods containing lavender or rosemary before, be prepared for a scent sensation in your kitchen! 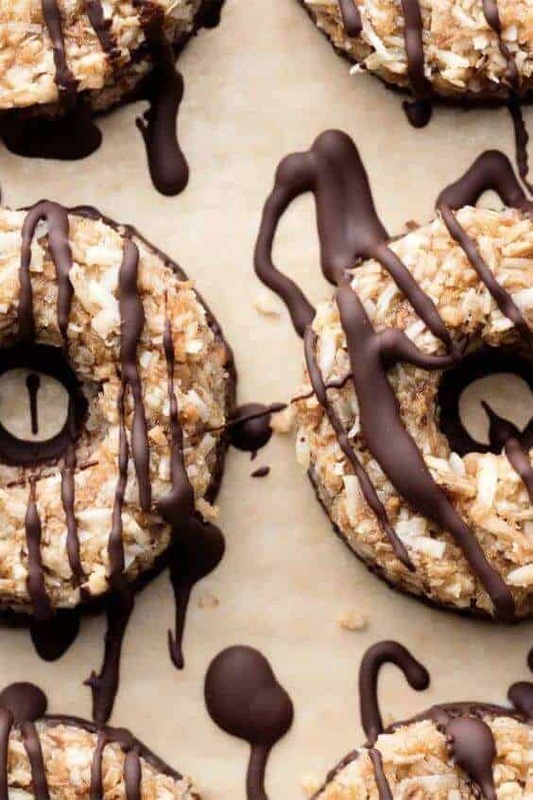 Girl Scout cookie season can be a difficult time if you’re on a paleo diet, but if you’ve been missing the caramel chewiness of Samoa cookies, this recipe will satisfy your cravings. The caramel flavor in these cookies is achieved from a combination of dates, maple syrup, raw cashews and almond milk along with a few other easy to find ingredients. The end result is a healthy alternative to a beloved classic, and you won’t even have to wait until Girl Scout cookie season to enjoy them! Ready in under 10 minutes, these four-ingredient cookies will make your mouth water if you are a Nutella fan. The store-bought spread contains unhealthy and unsavory processed ingredients such as sugar, milk, soy lecithin, and palm oil making it a no-no for anyone on a paleo diet. 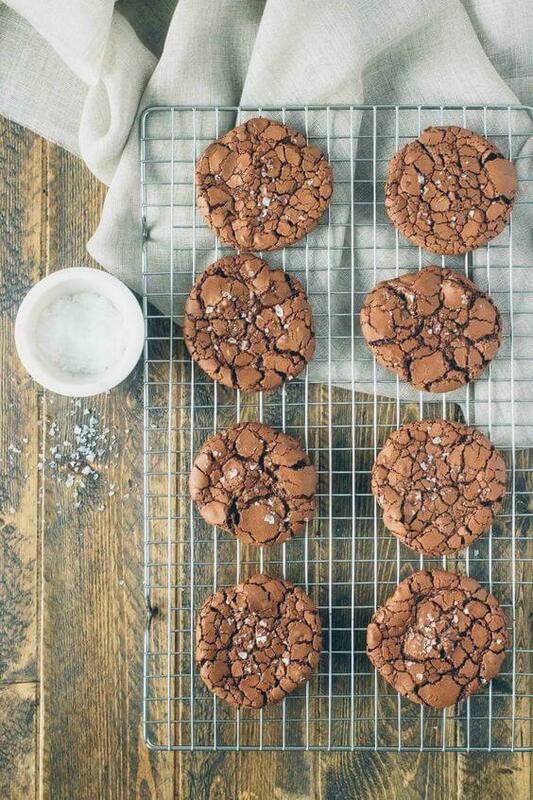 But if you find Nutella irresistible, these crispy cookies are a nourishing alternative. If you’re having a hard time finding hazelnut butter, you can blend your own or substitute it with another nut butter. 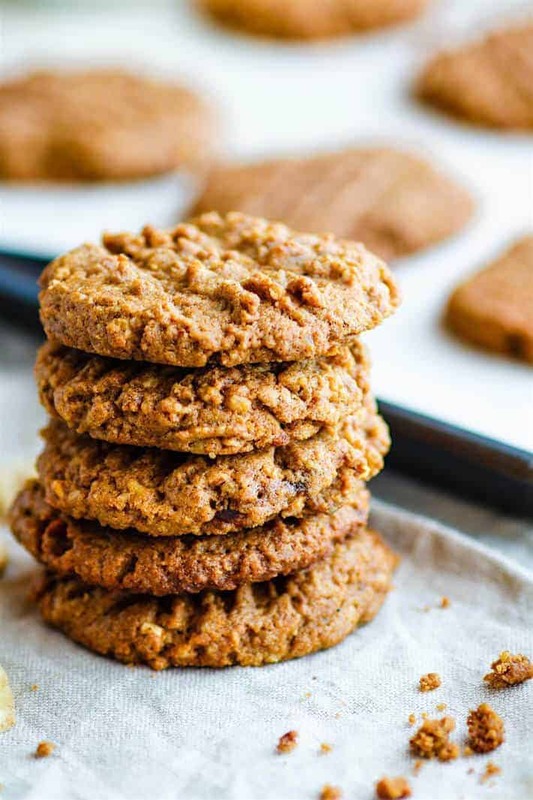 Many paleo cookie recipes rely on grain flour substitutes to achieve a traditional cookie texture, but these light and airy butterscotch maple walnut cookies use fluffy egg whites to make a confection that is more reminiscent of nougat or a meringue. This recipe is a healthy dessert option, especially if you are unable to eat chocolate or certain paleo flours. If you have ever tried Southern treats such as pralines or Southern Divinity Candy, you’ll find the flavor combinations in this recipe familiar. 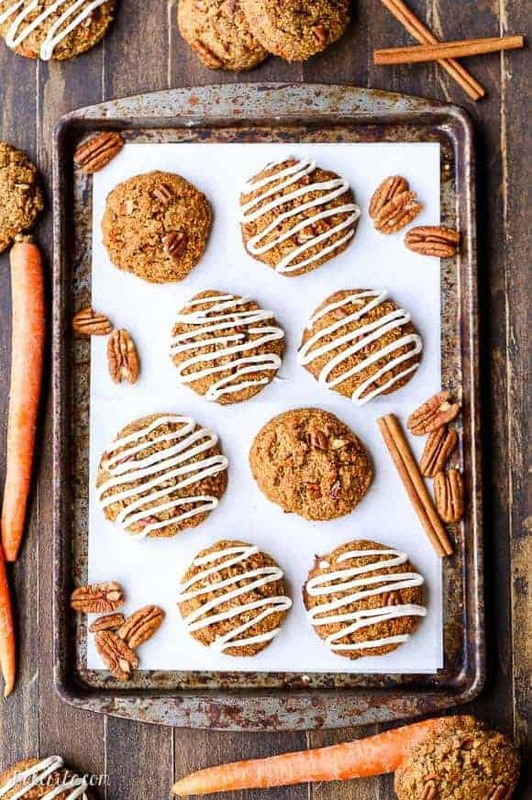 With no refined sugar and no gluten, these cookies use almond flour, plenty of carrots, and a touch of coconut sugar to create a delightfully healthy dessert. 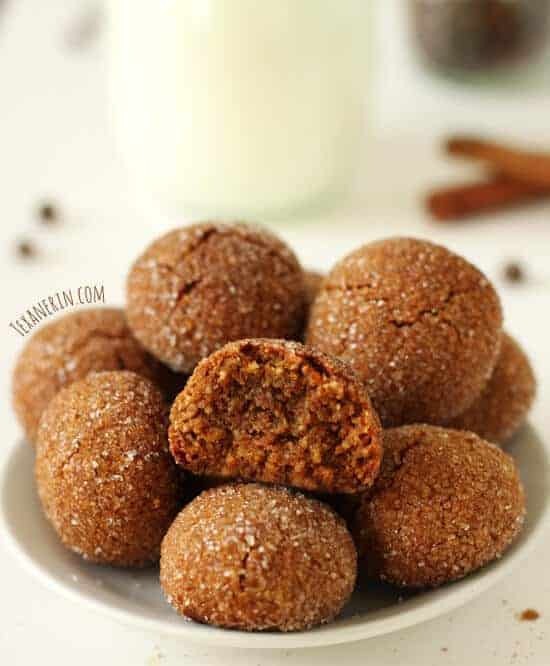 Although you’ll need to omit the cream cheese glaze to make the recipe truly paleo, the classic combination of cinnamon and nutmeg makes these a tempting choice without the frosting, and if you want to dress these cookies up a little, you can add nuts or raisins to the batter for added texture and flavor. 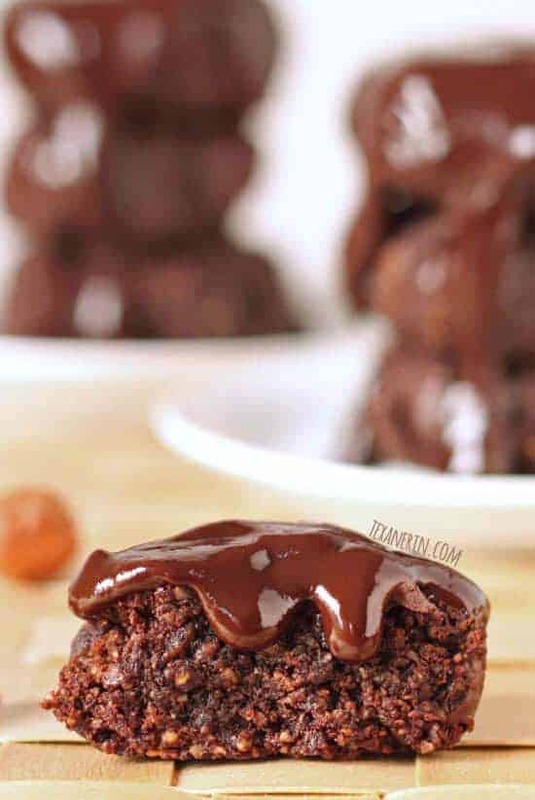 This paleo recipe results in cookies that are really more like miniature chocolate lava cakes, thanks to a generous topping of ooey-gooey chocolate sauce that coats each one. 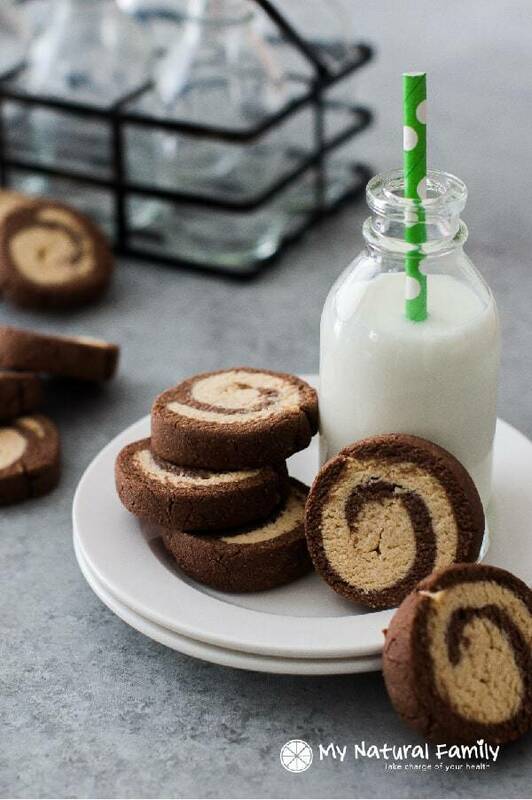 If you’re looking for a Nutella flavored cookie, this isn’t the recipe you’ll want. The hazelnuts are coarsely ground, which gives the dough a great texture when combined with the coconut flour which forms the base of the recipe. Sweetened with dates and just a bit of honey or agave nectar, these cookies are a messy but satisfying treat. If you never pass up the opportunity to lick the batter off the spoon when making a batch of cookies, you’ll want to try these delicious over-the-top cookies. 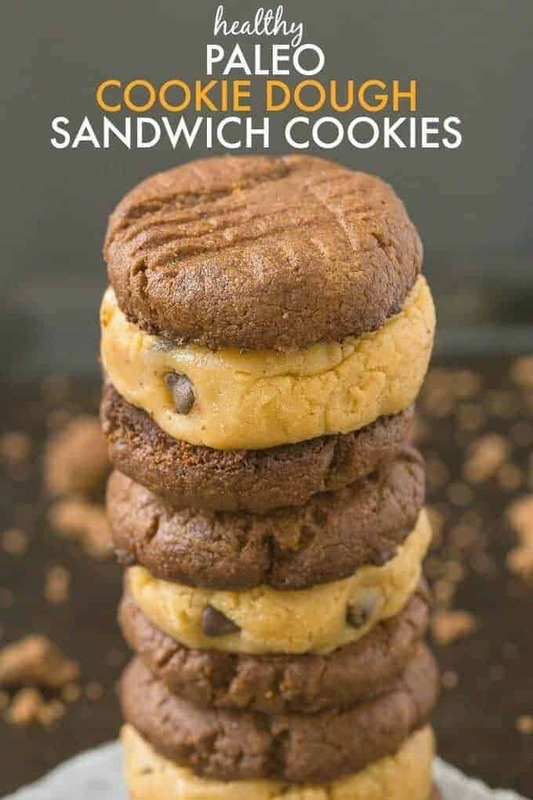 Each of these creations has a dollop of raw paleo chocolate chip cookie dough sandwiched between two chocolate cookies. 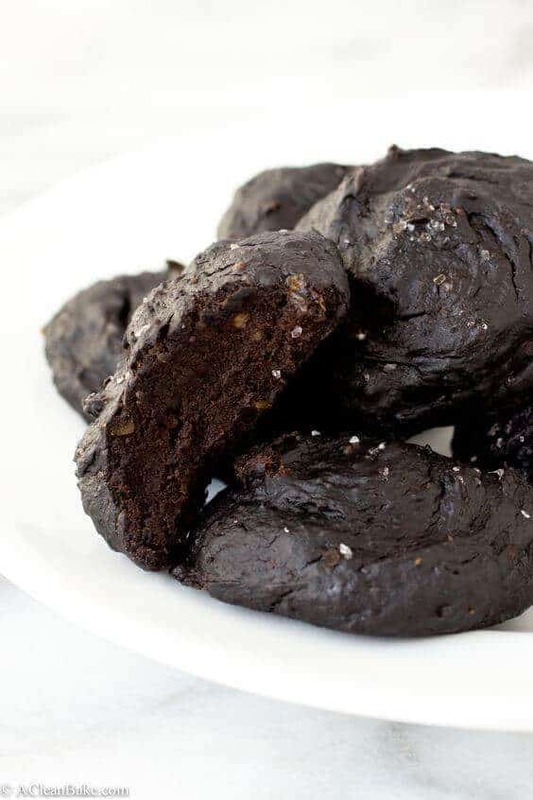 Best of all, there is no butter, oil, grains or sugar in the entire recipe making these seemingly unhealthy cookies not only paleo but also vegan, gluten free and dairy free! These small cookies are vegan, gluten free, grain free and paleo. Made from pecans, dates, and cinnamon, they have a flavor reminiscent of pecan pie but are healthy enough to eat any time of day. With only three ingredients, this easy paleo recipe is perfect for budding cooks since it can be made in about 15 minutes and contains no difficult to find sweeteners or flours. Additionally, the smaller batch size means you won’t have to contend with lots of extras, although these cookies do store well. 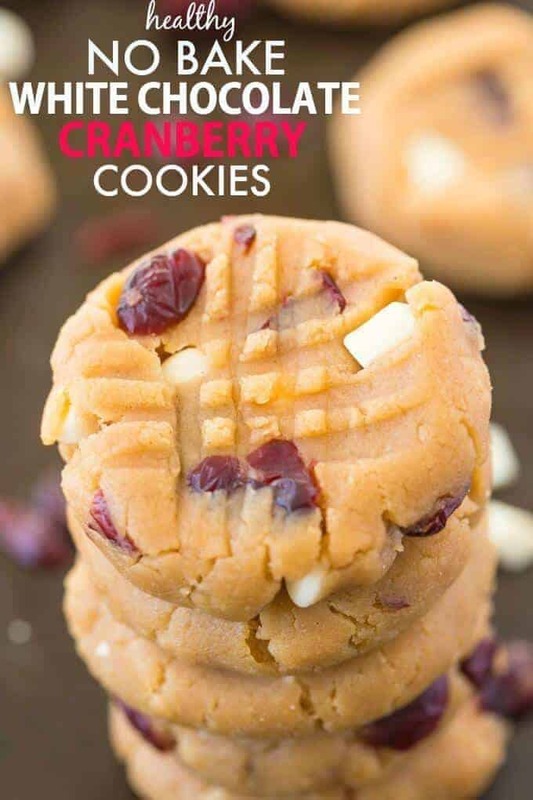 These healthy no-bake white chocolate cranberry cookies take less than ten minutes to whip up and are so tasty that you might not believe they’re paleo. Rest assured, this easy recipe is packed full of fiber and protein, is naturally gluten free, grain free, vegan, and dairy free. Because they’re a no bake cookie, the final texture is reminiscent of cookie dough, and the chunks of white chocolate and dried cranberries are a winning flavor combination. Introduced to Europe during the dark ages, marzipan is traditionally made with powdered sugar, almond meal, and can be flavored with vanilla, rose water, or orange water depending on regional preferences. The original cookie recipe from which this paleo version is derived is a much-loved Christmas treat in Frankfurt, Germany. 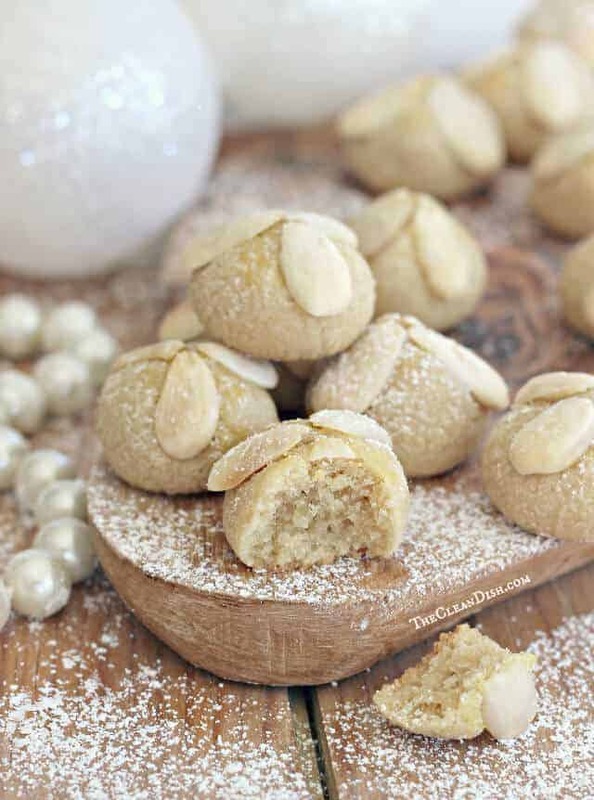 It uses almond flour instead of pre-made marzipan paste, is lightly sweetened with maple syrup, then rolled into bite-sized balls, and decorated with blanched almonds on top. These small bite-sized balls are packed with big flavor! 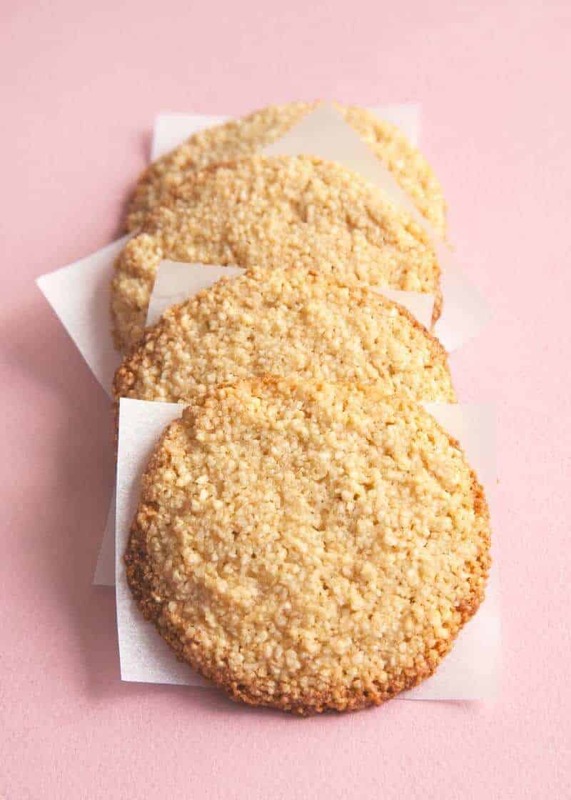 The combination of spices used to give these cookies their flavor will make your kitchen smell like heaven, and the combination of both almond and coconut flour in the recipe creates a cookie that is soft and chewy in the middle. like a lot of grain-free cookies, these can be slightly sticky but you can create a visually pleasing and great tasting crust by rolling them in coconut sugar before baking. Anyone who has tried chocolate chip mint ice cream will know that this cookie has a winning flavor combination. The natural sweetness of the peppermint extract offsets the bitterness of the cocoa powder and chocolate chunks to create a soft, tasty cookie that is great all on its own. But if you’re feeling adventurous, they can be topped with homemade paleo marshmallows or even filled with dairy-free ice cream to make paleo ice cream sandwiches. 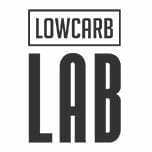 These flourless cookies were designed to provide ingredient-based fuel for active bodies. If you are an athlete, or if you just need an afternoon pick-me-up, these cookies can give your body the healthy fuel it needs to be at its best. With plenty of healthy fat and protein, and with banana chips for carbohydrates and a hint of sweetness, these crunchy cookies are a healthy alternative to commercially made energy bars. Plus, there is an option to make them vegan, too. Some healthy desserts can have a gritty feel or an oily texture that may be offputting. However, these cookies taste and feel just like regular non-paleo chocolate chip cookies! If you’re just starting a paleo diet, or if you want to introduce friends and family to paleo cookies, this is the recipe you’ve been looking for. Thanks to a short ingredient list and a bake time of about 10 minutes, this is also an incredibly easy recipe to make on the fly. 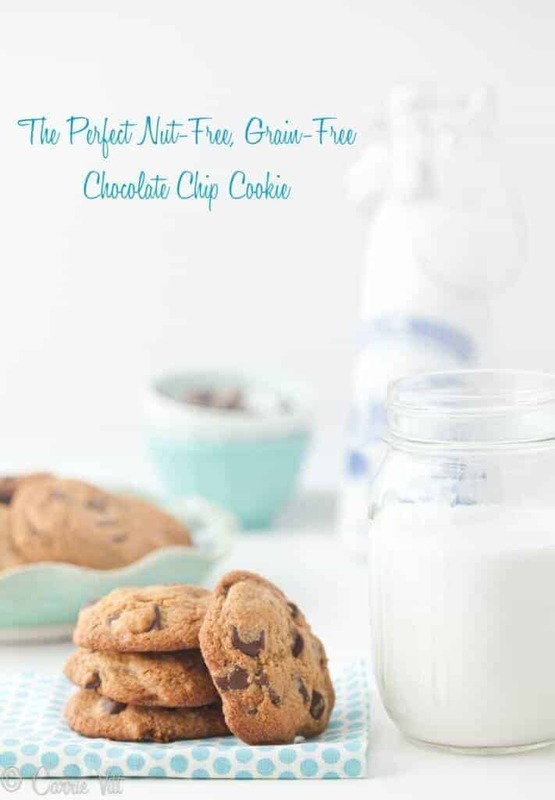 Nut-free, egg-free, dairy-free, grain-free chocolate chip cookies? Yes, it’s possible to make healthy cookies with the textures and flavor that you love while still adhering to strict dietary guidelines. 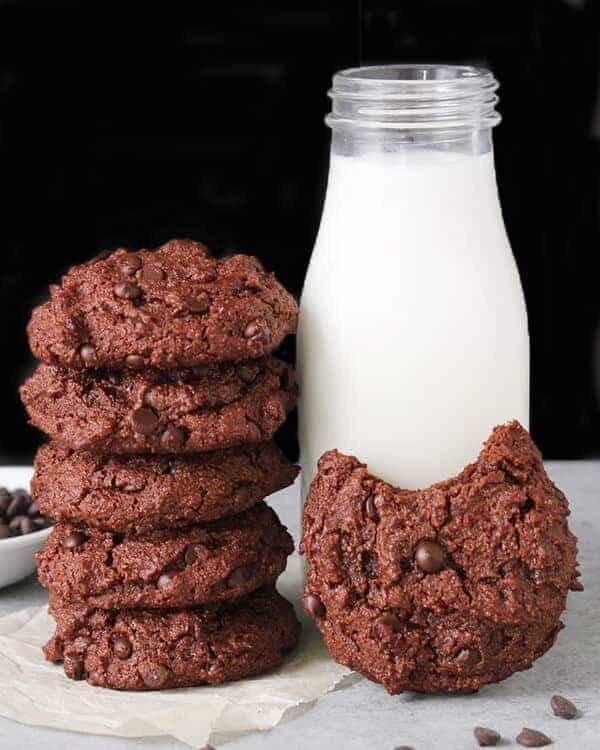 This recipe relies on a three-part non-grain flour to create a perfectly textured cookie that isn’t too gritty or dry and uses gelatin instead of an egg to act as a binder. 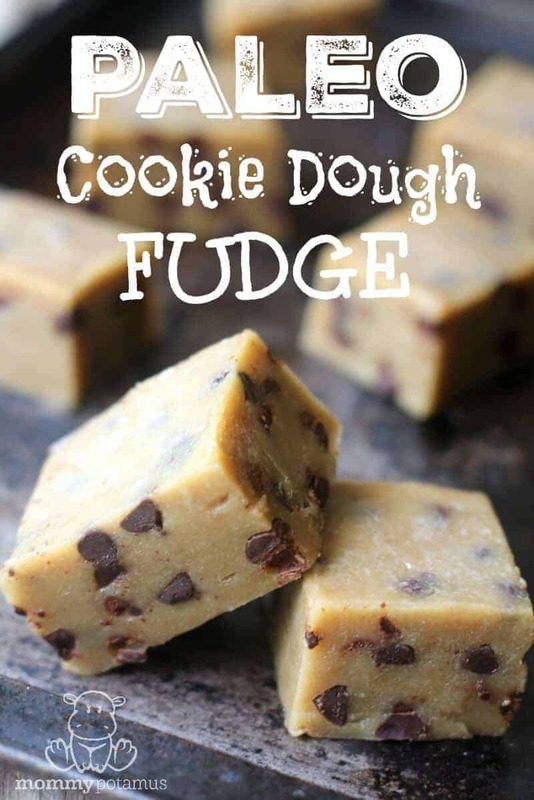 It may look and taste like regular cookie dough, but it’s not! This delightful dessert has a pleasing browned butter flavor that sets it apart from other paleo cookie dough recipes. This concoction requires no baking, and you can eat it as it is, or use it in other desserts such as ice cream. No matter how you choose to enjoy it, this is a healthy alternative to the chemically stabilized goop that is sold in grocery stores and tastes just as good if not better. At first, these flat, brown, uncharismatic cookies may not seem like much, but take one bite and you’ll agree that looks aren’t everything. There are two key elements to remember when making these cookies: don’t skip the cardamom, and don’t skip the step where you freeze the dough. Freezing the dough changes the texture of the cookies so that the outside crisps and browns while the inside remains moist and chewy. With a little patience and the right spices, you’ll have the perfect cookie for a cold autumn day! There aren’t too many cookies that get people as nostalgic as Oreos. 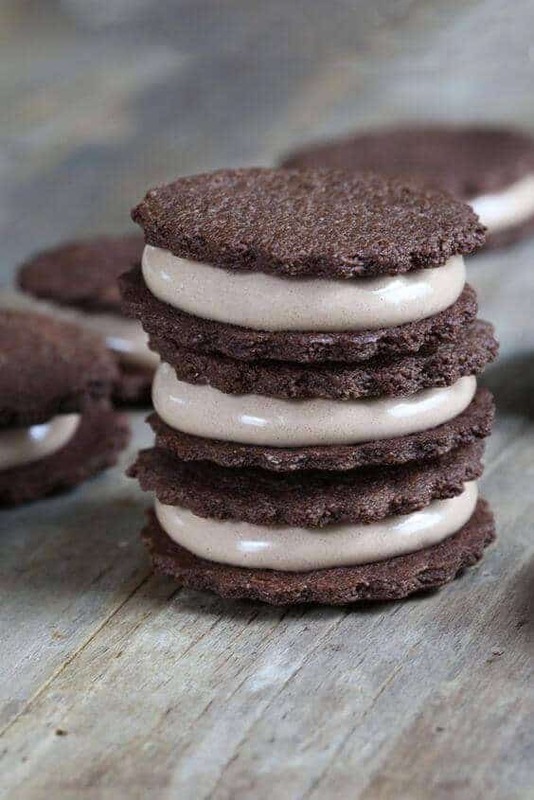 This paleo recipe is free of refined sugar, grains, and dairy but mimics the sandwich cookie style with two chocolatey cookies surrounding a soft creamy center. The texture of the filling is lighter and fluffier than the original, more like meringue than Oreo frosting, but it is also a lot lower in sugar. The cream is made with gelatin so that it remains stable at room temperature, and is lightly sweetened. Just for a hint of extra flavor, the recipe calls for cocoa powder in the filling. 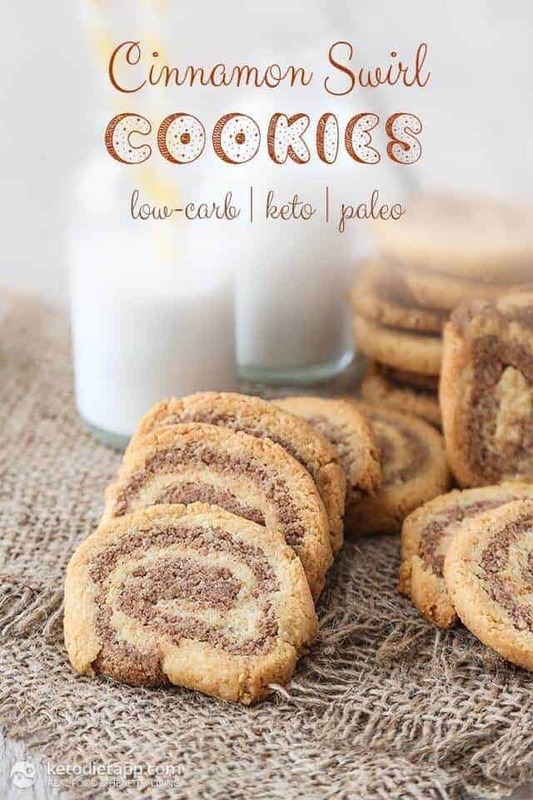 Even if you are a novice baker, rest assured you can find paleo cookie recipes that will not only please your palate but can help you maintain a healthy diet free from processed chemical additives and highly refined sweeteners. Whether you prefer easy to make cinnamon cookies, or challenging concoctions filled with cream and topped with decorative glazes, you’ll be able to find alternative cookie recipes that will please the most finicky cookie lovers. While they may not perfectly mimic your junk food favorites, both your sweet tooth and your waistline will thank you for these paleo treats.